It takes 252 licks to get to the center of a Tootsie Pop: The James E. Foy Information Desk last Friday afternoon. Auburn University has been closed due to inclement weather for two days (and Thursday will make it three). 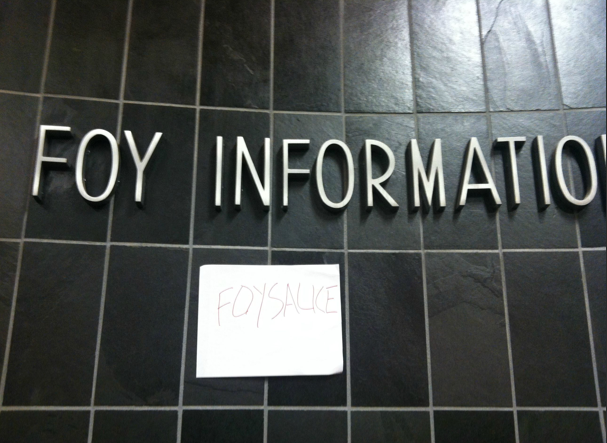 The folks at the James E. Foy Information Desk probably aren’t complaining. That’s all it took. Phones soon began ringing off the hook. They didn’t stop. One of four staffers behind the desk on estimated he had fielded more than 300 calls in the first five hours of his shift. Another said the same. And that was late Friday afternoon, two days later. How many calls come in on average, non-viral day? 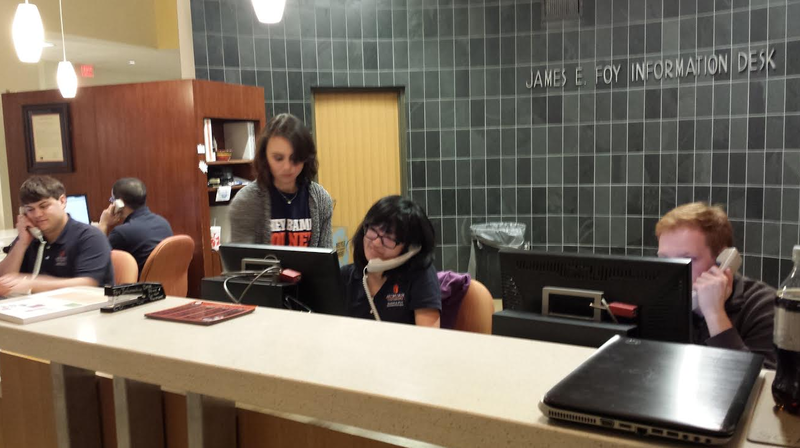 It’s not the first time national media attention has flooded Foy with calls. In 2007, a blurb about the omniscient Auburn digits made O, The Oprah Magazine, which in turn captured the attention The Today Show. You can watch a video of culturally astute Today host Matt Lauer calling the Foy line—”they’re basically the original Google”—live on the air during the show’s “Things You’ve Never Heard Of That Can Change Your Life” segment here; he needed to know Barbie’s full name. The info desk managed the asinine inquiries by bringing in extra staff over the weekend and by limiting callers to three questions, or three minutes, whichever came first. That’s actually standard protocol, but it’s rarely employed. However, Conti-Elkins says the staff had a feeling it would be necessary early on. “Some of the people (behind the desk) knew about the thread, and knew it was coming,” she says. One of them even seemed to be kind of encouraging it. A Redditor named foysauce who claimed to have been “working at the Foy Info Desk for several years” started an AMA (Ask Me Anything) thread shortly after Foy’s number was posted, complete with a photo of a piece of paper with his user name on it taped under the James E. Foy Information Desk sign to prove his claim. It was actually pretty informative. And entertaining. In addition to learning how much blood you can transfuse from a cow to a calf, foysauce discussed the dreaded Pennsylvania Lady, whose ability to annoy apparently far surpasses that of any bored Redditor asking where babies come from. She was a repeat caller we had for about five years. She would call starting around 10 am, and continue to call several times each hour. Topics were subtly veiled racism and religious superiority for her faith, most of the time. She often requested we read the scrolling news headlines off of Fox News for her. She frequently would ask what is on tv, and then demand a synopsis of different movies and shows. Then she would want to know who the actors and actresses were. Then what ethnicity they were, and if they were members of her faith. If they were not, she had something negative to say about them as soon as she learned. She was very rude, threatening, and generally unpleasant. Eventually you get psyched out, you know she coming, and the fear of getting her call makes it so much worse. Enjoy the snowcation, foysauce and Co… you’ve earned it.